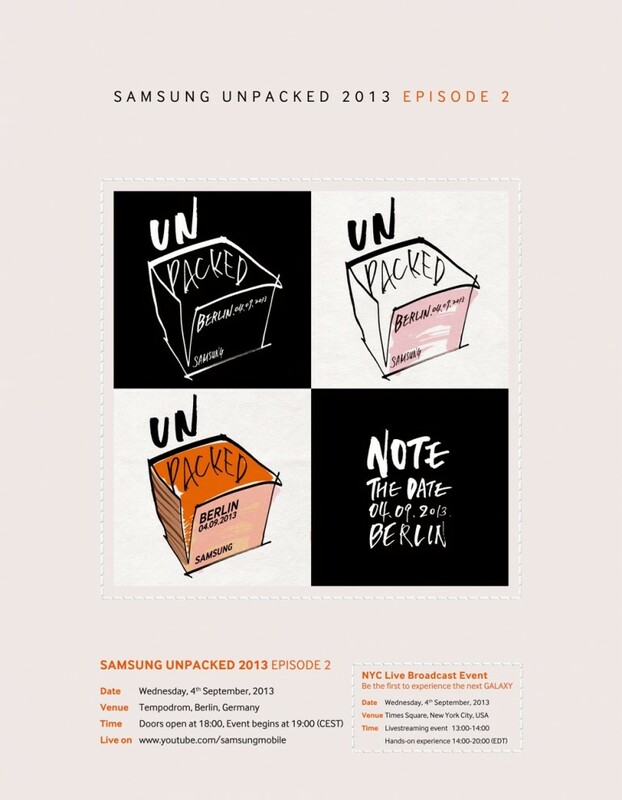 Samsung will be holding its latest “Unpacked” event in three weeks, and judging by the “Note the Date” press invites, there’s no surprise as to what will be the main product to be launched in Berlin come September 4. The successor to last year’s defining phablet, the Samsung Galaxy Note II, is set to make its debut – and just like the flagship Galaxy S4, it looks like the Galaxy Note III will come in two international variants. While it is all but confirmed that there will be one variant of the GNote III sporting Qualcomm’s all-conquering Snapdragon 800 chipset, it appears that there will be another variant as well, powered by the Korean company’s own new Exynos 5420 SoC. SamMobile has received an exclusive tip regarding the two variants, with the main difference between the two variants being the support for LTE networks similar to the two variants of the Galaxy S4. The Exynos variant, bearing the model number SM-N900, sports the home-brewed Exynos 5420 SoC which was announced last month. Featuring a 1.8GHz octa-core processor and the new Mali-T628 GPU, this variant’s RAM has not been confirmed just yet. What is confirmed, however, is the absence of LTE support, indicating that the Exynos 5420 SoC still has not managed to integrate LTE radios unlike Qualcomm’s Snapdragon’s chips, which had that for a while now. 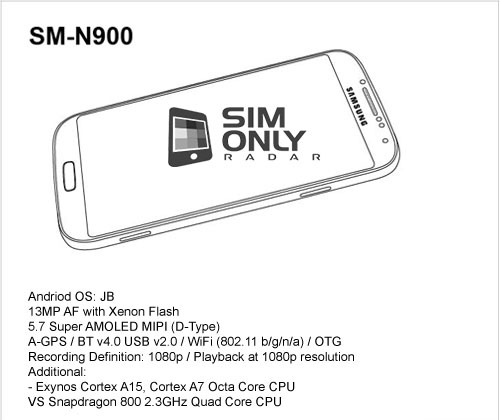 On the other hand, the other variant, the SM-N9005, does not have a confirmed SoC – although recent benchmark scores indicate that it will, in all likelihood, be the Snapdragon 800 with Adreno 330 graphics. There’ll also be 3GB of RAM in this device, as is support for LTE networks. Besides that, both variants are pretty much the same. Conforming to earlier leaks, the Note III will sport a 5.7-inch Full HD display (no word if it is Super AMOLED or IPS), a 13MP rear camera with Optical Image Stabilisation, and a 3200mAh battery pack. Both devices will also come with 16, 32 and 64GB storage options, and will support up to 64GB microSD cards. Finally, the Galaxy Note III will run Android 4.3 at launch.